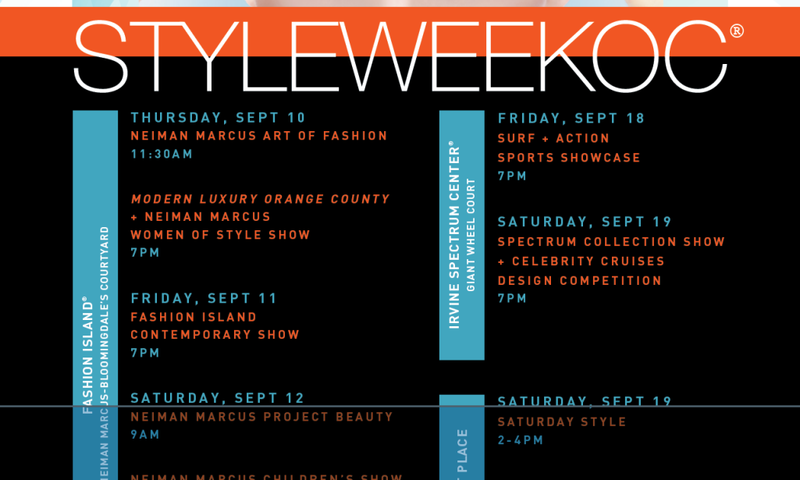 Style Week OC Kicks off TODAY! 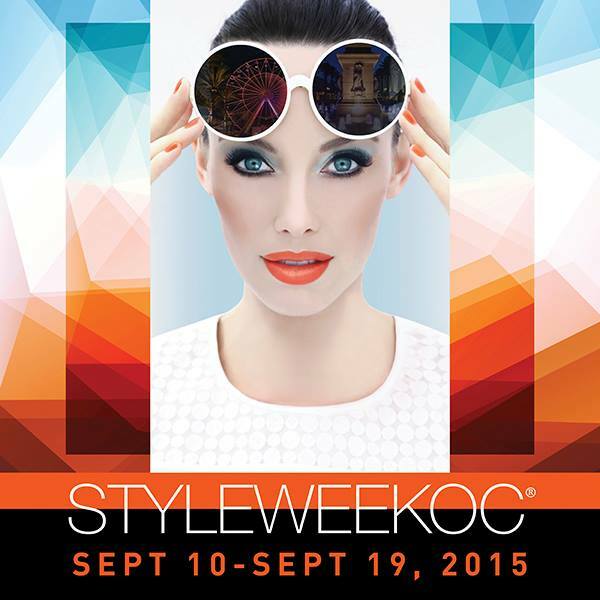 It&apos;s the fashion event we&apos;ve all been looking forward to in Orange County, Style Week OC hosts an array of fashion and beauty events at Fashion Island, Irvine Spectrum, and Tustin Marketplace. Amidst the kick off of &apos;Fashion Week&apos; around the world, Style Week OC will showcase Fall 2015 fashion from the brands within the shopping centers. Check the schedule above for runway shows dates and time, as well as the Style Week OC website for in-store shopping events and trunk shows (events already started yesterday). Runway shows will include luxury, casual, children&apos;s wear, and the Celebrity Cruises Design competition featuring FIDM students. 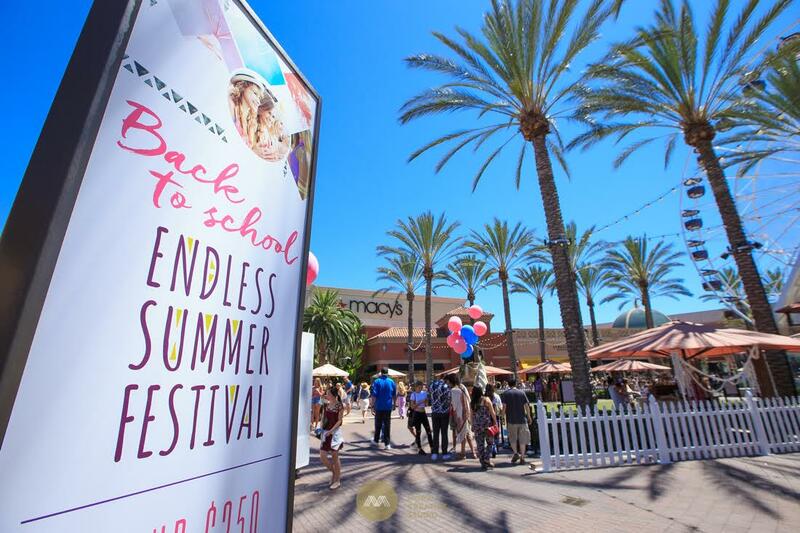 More than 3,000 people joined Irvine Spectrum Center in celebrating the back-to-school shopping season on Saturday, August 15 at the Endless Summer Festival. The one-stop, festival-themed shopping party featured curated back-to-school wardrobe closets, musical performances, in-store promotions and more. 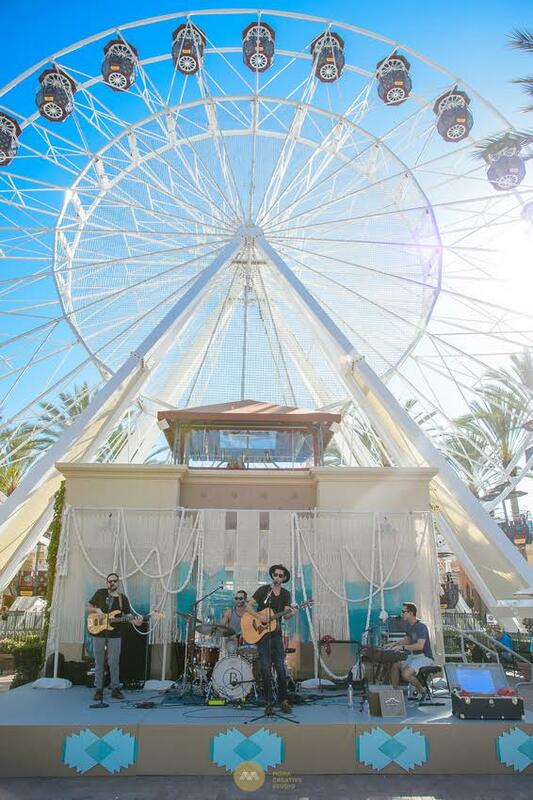 Attendees enjoyed a variety of complimentary activities across the center to bid adieu to summertime, including a DIY dream catcher station, flower crowns by Krista Jon Florals and a fun photo op at the vintage VW bus photo booth. Over at the Nordstrom Beauty Lounge, guests enjoyed lip bar seminars from M.A.C., Laura Mercier, Smashbox and Fresh. 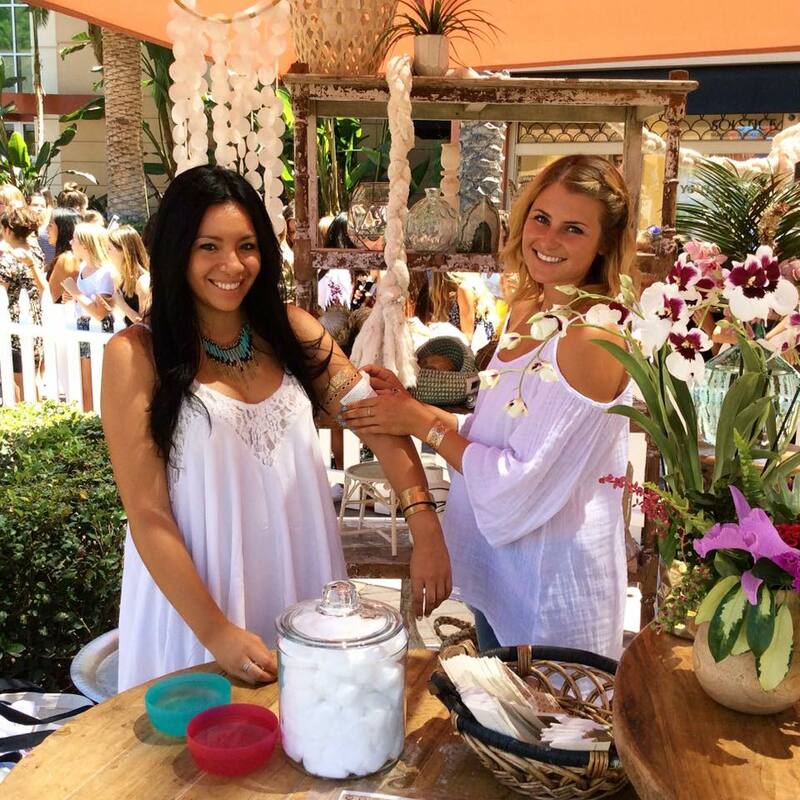 lulu dk was onsite sharing its latest in flash tattoos while Toni & Guy Hair Salon provided guests with beautiful bohemian braids. One of the highlights of the event was the blogger meet-up with YouTube style vloggers Maddi Bragg and Suede Brooks in Giant Wheel Court. The style gurus presented curated style closets featuring the hottest looks for back-to-school. 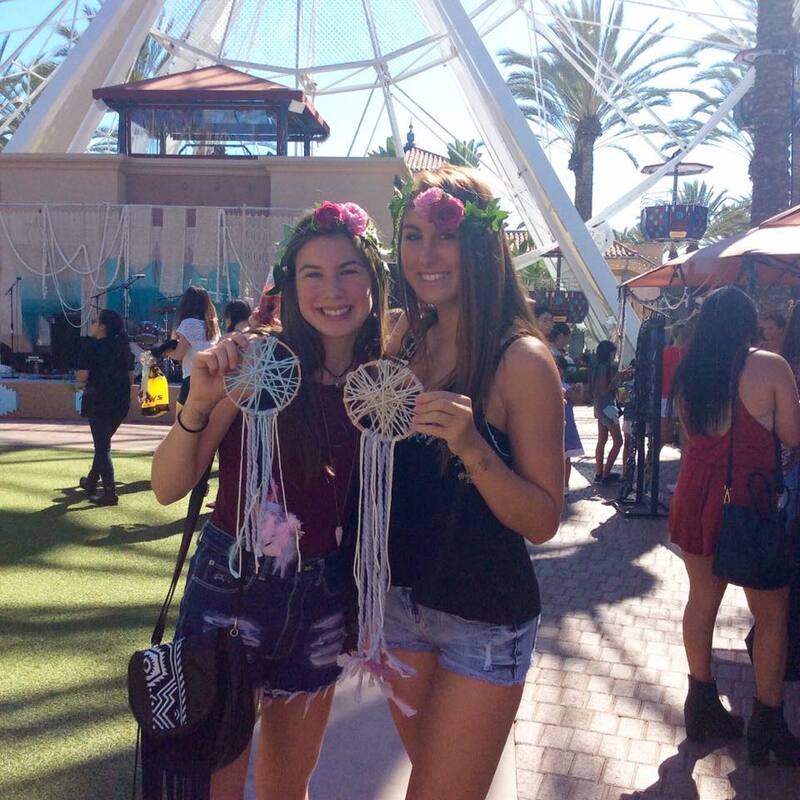 The teen blogger duo drew more than 800 fans for a meet-and-greet. To close out the day&apos;s fun, local band The Brevet took the stage and entranced the crowd with its Americana Rock music, sweeping orchestral tracks, gang vocals and unforgettable choruses.